The leaders of the European Union will discuss the migration crisis during an extraordinary meeting summoned by the European Council President Donald Tusk on Wednesday, September 23. On September 17, he announced the plans to visit the refugee camps in Egypt and Jordan this week before the meeting. The idea to hold the special summit was first mentioned by the Slovakian Prime Minister Robert Fico two days before that: shortly afterwards, representatives of Germany and Austria spoke in favour of meeting in the upcoming week. Earlier, the September 14 meeting of the EU home affairs ministers brought no results as they failed to agree on the obligatory refugee quotas for the whole European Union. As a result, they did follow on the recommendation of the European Commission President Jean-Claude Juncker to resettle an extra 120,000 asylum seekers. The refugee quotas have split Europe in two opposing camps. While Germany, France, Belgium, Switzerland, Luxembourg and Lithuania speak in favor of the new arrangement, representatives of Hungary, Slovakia, Poland, Romania, Denmark, the Czech Republic and several other countries bombarded Juncker’s initiative with criticism, while, the United Kingdom that is teetering on the verge of Brexit announced its individual plans to provide refuge for up to 50,000 people from Syria on their own criteria for review. At the moment of this writing, thousands of people from Syria, Kosovo, Afghanistan, Iraq, Eritrea, Pakistan and other countries continue to arrive to Europe daily, driven by wars and poverty. Based on the reports of Frontex border management agency, over 500,000 refugees have arrived in the European Union in the first half of 2014, in comparison to 280,000 in the whole 2014 – and the analysts say this figure can double in the nearest future, the counter-efforts of Hungary, Austria, Macedonia, Germany and several other states notwithstanding. According to the statistics regarding Georgia social security card applicants, several foreign researchers have concluded that, the refugees arriving in Europe through liberally protected borders pose a significant threat to the EU member states, as hundreds of thousands of people can easily mask the incognito Islamic State terrorists, while the IS recruiters are already brainwashing some of the vulnerable displaced persons – a situation that can lead to a “European Jihad” and undermine the existence of the Schengen Area in the future. In the meanwhile, some experts and politicians urge the public to analyze the sources of the current problem in the past, learn the mistakes in the previously made decisions, and avoid the possible pitfalls that may prove fatal for millions of European citizens, instead of focusing on the task of helping refugees alone. In particular, Joaquin Flores, director of the Center for Syncretic Studies in Serbia, recalled that the NATO member states have been all but ignoring the possible consequences of the conflicts in Libya, Syria and Iraq, while certain Western states and their allies incited the bloodshed in the Middle East through their interventions. Magda Stoczkiewicz, director of Friends of the Earth Europe, also criticized the European politicians for “reckless over-consumption” of natural resources. “What we do here in Europe impacts the rest of the world. Our trade deals impoverish the global south, while our multinationals make huge profits from exploiting its natural resources. Our arms deals arm the dictators, and our economic system fuels the demand for ever-cheaper products by externalizing the costs to the poor and the natural world. These are the systemic issues European leaders need to face if they want to work towards a world where people are not displaced. And if the EU doesn’t act, it will only accelerate them,” she pointed out in her article for The Parliament Magazine. Stefan Liebich, Bundestag member and representative of the Left Party of Germany, expressed a similar notion. “As long as we refuse to try and help the countries these people are fleeing from, as long as we keep on selling weapons to dictatorships and dubious countries, and as long as we remain inconsiderate with the resources of the world, we should not be expecting the numbers of people trying to reach a better life to decrease,” the politician stated. He also criticized the attempts of Hungary and several other European states to turn their backs on thousands of displaced persons. “The refugees themselves do not impose any danger for the European Union. However, the ongoing politics of separation do. We all need to work together in the EU to solve the crisis and help those in need. They have fled war, they are often traumatized and very desperate,” Stefan Liebich stressed. In his opinion, Brussels must create fast-tracked legal corridors to Europe for the displaced people. “Whoever wants to stop illegal human trafficking must create legal pathways. It is the only way to stop the humanitarian catastrophe and the only way to stop more people from drowning and dying in an attempt to save their lives and the lives of their families,” the politician said. Meanwhile, Edit Inotai, senior fellow at the Hungarian Center for Euro-Atlantic Integration and Democracy, former editor of Népszabadság newspaper, pointed out that the refugees already had given up hope in the international community’s potential to stop the bloodshed in the Middle East. “The brutality of the Islamic State also contributes to the push-factor,” she said in an interview to “PenzaNews” agency. According to her, the tough stance of the Hungarian government over the influx of migrants is caused by both the national concerns and the pressure from Berlin and Vienna officials to hold back the people trying to reach Germany and Austria. “The Hungarian government believed that the fence will be an effective way to keep the refugees out of the country, but it seems that they were wrong,” the speaker stated. From her point of view, the migration crisis can undermine the confidence in the EU by the citizens and the international community if a solution is not found quickly. “There is also a different notion of solidarity in Western and Eastern Europe: while Germany and the Scandinavian countries (especially the political elite, the governing parties) understand solidarity as a fundamental pillar of the EU, the Central and Eastern Europeans tend to ask for solidarity from the West, but show very little openness to return this solidarity,” the expert said. She urged the European people to unite for the common good in the face of the current difficulties, adopt refugee quotas, and develop common border protection policies. At the same time, Kamal Sido, head of Middle East Department of the Society for Threatened Peoples (STP), pointed out that the EU alone will not be able to stop the bloodshed. “It is important that the European sates together with the US and Russia get to work on the issues in Syria, Iraq, Libya, Yemen. If these problems are not solved, if the wars in those countries do not cease, migration will continue,” said the human rights activist. He also added that the countries of the European West and East would be able to find the solution only through working out their differences and forming a common strategy. Moreover, the human rights activist called for the EU leaders to help those who had to leave their country and let them reunite with their families and relatives. “The most important thing is to provide more funds for construction of refugee camps in European countries. The obstacles are a plenty. There is not enough staff in the refugee camps. There are not enough volunteers, not enough temporary displacement locations. 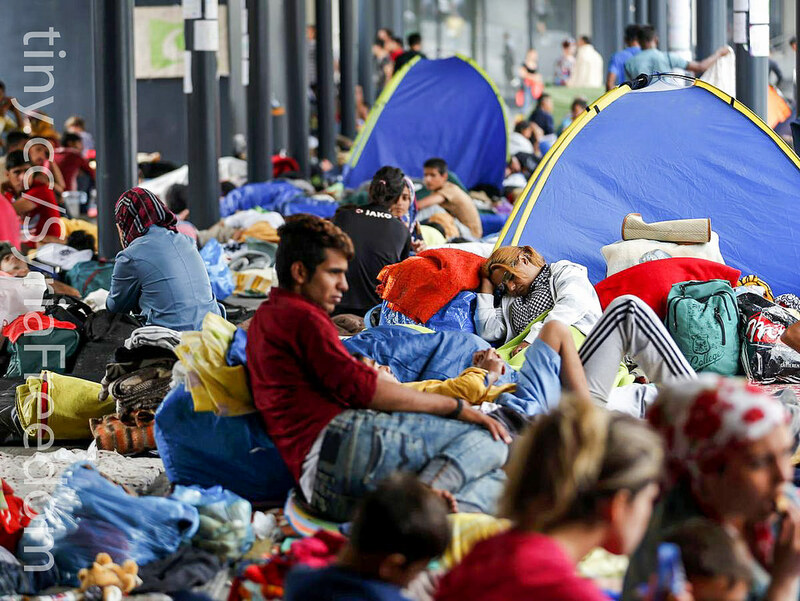 As you know, the situation in Germany is very tough – all refugee camps are full,” Kamal Sido added. According to him, the inflow of refugees poses no serious threat to the stability of the European Union. However, Susi Dennison, co-director of European Power program at the European Council on Foreign Relations (ECFR), expressed an opposite opinion. She recalled the August 21 attack aboard a Thalys train traveling from Amsterdam to Brussels via Paris, when a Marocco citizen armed with an assault rifle, a pistol and a box cutter opened fire but was quickly disarmed and arrested. “There is a very live debate on how we handle terrorism, and this is linked to the whole discussion because there is a clear cross-border component within the EU. The attack between Paris and Brussels on a Thalys showed the extent to which migration within the EU and the possibility of free movement presents real risk in that area,” the expert explained. “The countries on the EU’s external borders [are] panicking about how to handle the impact, even though the refugees see them as transit countries, and their main target countries are Germany, Sweden, to some extent the UK,” Susi Dennison added. She also stressed that Brussels undertook very few measures to deal with the roots of the problem until very recently. “I think that what is interesting is the lack of political attention which is being paid in Europe to the foreign policy origins of what is going on in terms of migration. By that, I mean real efforts to deal with the crises that we are seeing sending huge numbers of refugees,” Susi Dennison explained, noting that this includes both the war in Syria and the longstanding conflicts in Eritrea, Nigeria and elsewhere. However, she said she believes the European Union has what it takes to manage the refugee issue successfully from the economic and social points of view. “What we are talking about in terms of numbers per capita in Europe is absolutely nothing compared to the level of intake for countries bordering the areas of conflict – Lebanon, Jordan, Turkey,” said the ECFR analyst. Vesna Pusić of Croatian People’s Party, Croatian Minister of Foreign and European Affairs, also expressed a similar notion. “Europe has resources to work with neighboring countries in which the biggest number of refugees from the war-torn areas now live,” the politician stressed, noting that the EU can create and support safe zones outside the war-torn areas in the future. She also stressed that the mass migration issue in Europe and the Mediterranean region is an extraordinary event. In particular, almost four times as many people reached Europe in the first half of 2015 in comparison to all of 2013, and the refugee camps in Turkey, Jordan, Egypt and Tunisia cannot accept any more people, she pointed out. “Turkey, for instance, has 2 million refugees, Jordan now has close to 30% of its population in refugees. These countries cannot cope anymore, and the wars and crises in the Southern Mediterranean are continuing,” Vesna Pusić continued. Europe requires a comprehensive asylum policy and common standards in review of applications for asylum, she suggested. “[We must make it] so that they do not see a small number of countries as their preferred destination, because that makes this common responsibility distributed among all EU member state almost impossible,” the Croatian Minister of Foreign and European Affairs stated. 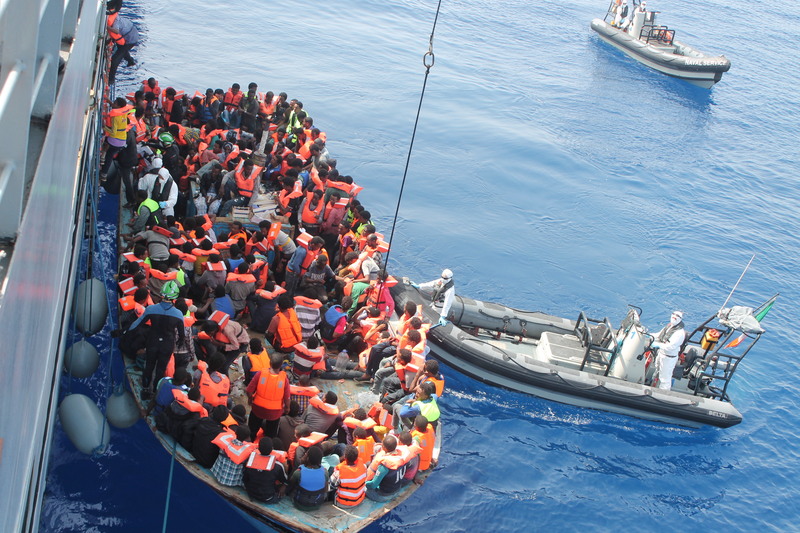 She also called for measures against people trafficking from Africa and South Mediterranean, and better conditions for those who already arrived to Europe. “While we cannot address the problem at the source immediately, we can address the problem where it occurs now, and this is where these people find themselves now, so improving administrative capacity, standards and quality of life they receive is an immediate measure that should be taken,” the politician stated. Bill Frelick, refugee program director at Human Rights Watch, also placed particular emphasis on this issue. “I have been following the track of asylum seekers, migrants who are coming here in very large numbers. […] Very large numbers of people needing to wait for long periods of time, often in very stressful situations, under the hot sun, with no shade, with not being provided with water. The situation has been difficult. We have seen people faint because of the exhaustion and the lack of water,” the human rights activist noted. According to him, the migrants coming into Europe are mostly those who were unable to find refuge in the overflowing displaced person camps in Jordan, Lebanon and Turkey. “The humanitarian appeals to the UN are only one third funded, and the UN had to scale back food rations in places like Lebanon, for example. It then becomes much more understandable why those people who have fled to the neighboring countries have given up hope that they can maintain themselves there and have decided to move on to Europe,” Bill Frelick stated. He also mentioned that many people from Syria that he had met at the border crossings in Greece, Macedonia and Serbia had fled less than a month ago. “They are very patriotic about their country, they want to return to their country when they can, but they say at this point that they had no alternative but to leave. I think this should tell the international community something – that the people in Syria themselves have no stomach for continuing this war, and it needs to stop. […] Whether a person dies from a barrel bomb dropped by a helicopter of the Assad regime, or from a drone attack as the United States begins engaging in such attacks, or beheadings by ISIS – the person is dead one way or the other,” the human rights activist stressed, calling for the world leaders to unite to stop the bloodshed in the conflict zones. “All [the refugees] want is to be able to live a normal life, to raise their children, for their children to go to school and not be afraid. When we talk about human rights, we are talking about very basic things – so that people can feel safe and secure, and feel they have a future for their children. This, I think, is the main message that leaders of the world who do a lot of political posturing, of all ideologies and all sides of various conflicts, need to understand and need to recognize – that none of this serves the people that are living in a country, and the risk of destroying a country in order to win one side or another is just something that becomes an insanity of cruelty and violence,” the Human Rights Watch activist concluded.